Grit, perseverance, and joy are the words that come to mind for all the people I got to meet. Our day for SPS Caribbean started with a grand influx of attendees. One Professor from the other side of the Island, drove over an hour to bring over a dozen students to the event. A woman shouted “This is awesome,” during Erica Toelle’s Microsoft Teams session. Blockchain and Azure drew many questions and lively discussions. We had fifteen speakers from all over the world who shared sessions on Office 365, Microsoft Teams, PowerApps, Azure, AI/Bots, Blockchain, Microsoft Flow, Information Protection and Diversity in Tech. During the event, lead organizer Paul Swider and Microsoft MVP from South Africa, Alistair Pugin, worked with attendees to start the first Office 365 San Juan User Group. Big thank you to powerhouse founder, Sofia Stolberg of Piloto 151, for hosting us at their terrific venue. Piloto 151 is the first coworking space in Puerto Rico — serving as a one-stop shop for business needs: virtual offices, corporate, technical & legal services. And big thanks our local logistics helper, Melissa and our social media Spanish translator, Mario Jimenez. San Juan is majestic, stunning beaches, old-world architecture, romantic as they come. It makes sense that tourism is one of its biggest industries — a destination spot for vacations, weddings, corporate meetings, and honeymoons. There are many ways to help a country coming back from the disaster of a hurricane and coming back to visit with one’s dollars is one, and when you come by supporting local businesses. I heard the phrase “why do tourist eat at McDonald’s and shop at Marshalls when you come to Puerto Rico?” from more than a few locals. I couldn’t agree more, supporting local businesses in any community you visit so important for their economies. If you are planning vacations or meetings for next year, do think of putting Puerto Rico in your planning, la Isla del Encanto, the island of charm is simply that. Visiting is not the only way to help — donations are still being collected, and if you want a birds-eye view into what happened during and after Hurricane Maria I highly suggest you pick up Chef Jose Andres book — We Fed an Island: The True Story of Rebuilding Puerto Rico, One Meal at a Time, who was nominated for a Nobel Peace Prize. We had an eclectic mix of attendees from small businesses, students to the largest multinational companies on the island along with Microsoft LATAM, thank you, Andres Rojas, for your enthusiasm and leadership was great to spend time with you. Our Diversity and Inclusion in Tech panel that I led along with Microsoft MVPs Melissa Hubbard and Alistair Pugin, with Fausto Capellan Jr, assisting as well was both a teaching and learning experience that I won’t soon forget. Diversity is simply part of the culture of Puerto Rico, and we had a hearty discussion. Students look at you with wide-eyes and dreams, talk about what they want to do — start businesses, work at start-ups and build cool stuff. We talked about how to get there, what to read, and finding that idea that is a burning desire and that the people in the room are those people that they will start businesses with, have ideas with and be their circle of collaborators in the future. Our Meeting with local Microsoft partner, Invid Groupwas terrific, Invid creates custom software to solve business challenges, and they have offices in Miami FL, Puerto Rico & Dominican Republic. 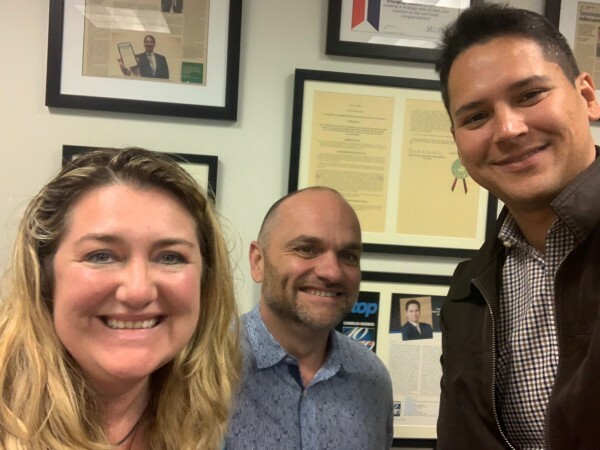 Their CEO, Alberto Lugo took SPS Caribbean leader Paul Swider and me through their offerings and how they are helping companies with their Office 365, SharePoint and Azure needs. They have been a Microsoft partner for ten years and has won the Microsoft Partner of the Year award twice. 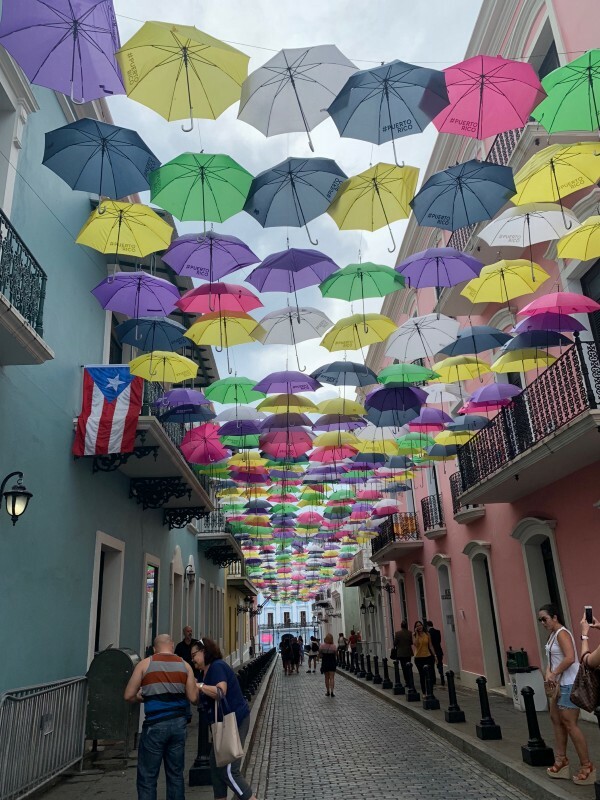 Dipping into Old San Juan, I came about a beautiful place called the Poet’s Passage owned by the super cool, talented artist Lady Lee Andrews. Dripping with her paintings, beautiful words and comfort, the Poet’s Passage is a store, gathering place and open mike stage. I met a lovely gal who goes by the moniker Lyricalyon who had a shaker in my hand and humming along with her as she worked out a beat on the conga. I came back the next day to talk with her about growing up in Puerto Rico, her dreams of becoming a music producer and working at The Poet’s Passage. The podcast is here on Mavens Do it Better. 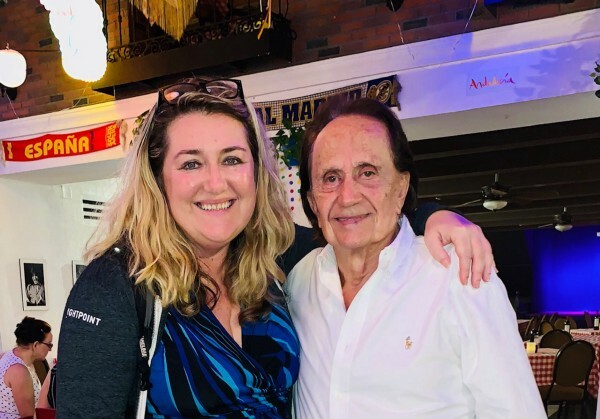 Sometimes you are hungry, and you end up meeting a legend, Erica Toelle, Melissa Hubbard, and I wandered into Triana Tapas, Thank you, Erica, and found ourselves being serenaded by Juan Carlos, one of the foremost flamenco guitarists in the world. Delicious tapas and drinks are met with the fierce strumming of Juan Carlos and his magnificent traditional dancers. His story is a lifelong dream. I went back the next day as well to interview him, he brought me down into what was the first colonial bank outside the contiguous United States — we sat in the vault and he mesmerized me with stories of Salvador Dali, playing at the White House, with Dean Martin in Las Vegas and so much more. Born in Barcelona and raised in Puerto Rico, his zest for life and humility are epic. The podcast is here on Mavens Do It Better. A huge thank you to our champion and organizer Paul, our awesome event committee, our local logistics goddess, Melissa our speakers, sponsors for traveling and supporting this event. And as special thank you to you Paul, who showed me so much of the island and for sharing your Puerto Rico friends and family with me. La Isla de Encantado is muy feliz. Dejé un pedazo de mi corazón allí. We will announce the SPS Caribbean dates soon — coming to the Dominican Republic and back to San Juan in 2019. To follow and keep up with announcements you can follow us on Twitter at SPS Caribbean. Simply walking around this city was wonderful. Quimera, Café Literario, who is a quiet lovely respite and also makes great coffee. Triana Tapas, Old San Juan, home of Juan Carlos and excellent tapas and instrument classes. Punto de Vista, Old San Juan, beautiful rooftop and amazing mofongo. 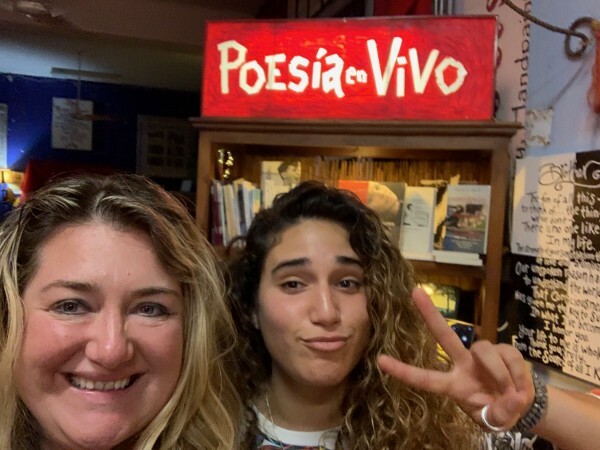 Poets Passage, Old San Juan, living museum of poetry and local art, go say hello to Lyricalyon and Lady Lee. Open mike nights of music and poetry. A day trip over the mountains and stopping into these lovely roadside stops were a delight in talking to locals and eating their mouthwatering delicious food. And putting ones toes in the ocean always brings some peace. These areas are just south of where the eye of Hurricane Maria hit, there was much work being done and a lot still to do. Power lines being put in the ground instead of in the air, houses being rebuilt. People were lovely to speak with and I was humbled over and over again by their generosity and kindness. And yes we day tripped and ate and ate and ate. Delicious. Older PostShaving Off Toxic Masculinity — The Best an Ad Can Get?